Toronto, Canada, March, 17, 2016 - Dundas Data Visualization, Inc., a leading global provider of Business Intelligence and Data Visualization solutions, announced today that Dundas BI has been named a 2016 Top Rated Business Intelligence Tool by software users on TrustRadius. TrustRadius, a leading peer review site for professionals to share candid insights about business software, features authentic reviews and ratings from actual software users. 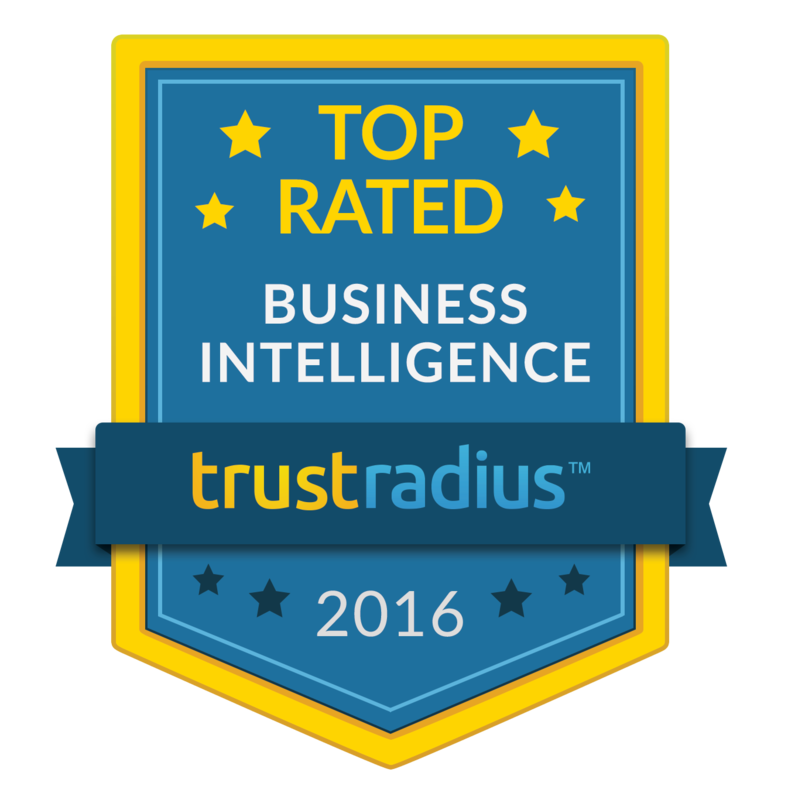 Dundas BI has been awarded as a 2016 Top Rated badge in the Business Intelligence Tools category and is featured in the TrustRadius Business Intelligence TrustMap™. The TrustMap is a visual depiction of Business Intelligence Tools in the Small Business, Mid-Size Company and Enterprise segments, and is based on 2,340+ in-depth reviews and user rankings. The TrustMap provides a highly useful and independent approach for narrowing the business intelligence tool choices available in the market. Dundas BI rates highly for data integration, data sharing and collaboration, reporting, data discovery and visualization and access control and security. In addition to a high overall rating, Dundas BI also received strong ratings for user support and likelihood to recommend. The Business Intelligence Tools TrustMap quickly helps software buyers locate the solutions most highly rated and adopted by their direct peer group and therefore most closely aligned to their needs. All ratings come from authenticated users of business intelligence tools on TrustRadius.com. Dundas BI continues to provide organizations with more tools and features that help users access, interact with and visualize their data so they can quickly see what’s happening in their business and take action. Dundas Data Visualization is a leading, global provider of Business Intelligence (BI) and Data Visualization solutions. Dundas provides organizations with the most flexible, innovative and scalable BI, dashboard and reporting software, through a fully embeddable BI platform, enabling users access to all their data for better decisions and faster insights. Lynda Phillips, Marketing Communications Manager, Dundas Data Visualization, Inc.
Dundas BI, Dundas and Dundas Data Visualization are trademarks of Dundas Data Visualization, Inc. All other trademarks are the property of their respective owners.